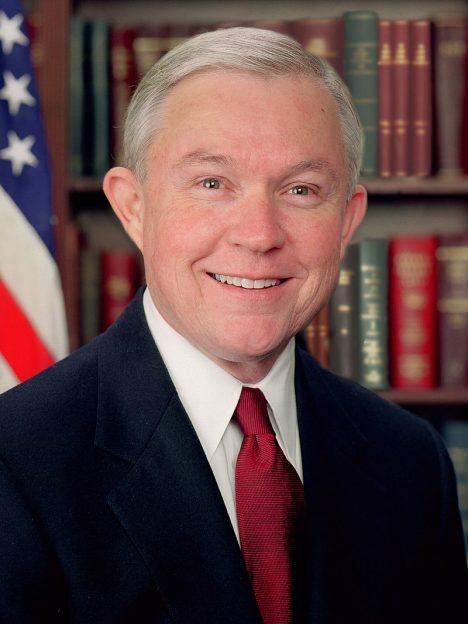 A Nigerian businessman charged who defrauded fellow citizens by misrepresenting himself as United States Attorney-General Jeff Sessions has been remanded in custody following his arrest by the Economic and Federal Crimes Commission (EFCC) on fraud charges. Khareem Oluwaseyi appeared before the Lagos High Court to face five counts including impersonation and the possession of fake documents with intent to commit crime. He pleaded not guilty to contravening the Advance Fee Fraud and Other Fraud Related Offences Act of 2006. Prosecutors said sometime in June, Oluwaseyi created a fake email, from which he sent messages aimed defrauding desperate Nigerian seekers of US visas by purporting to be Mr Sessions. “He had in his possession an e-mail correspondence containing a false document entitled: “Grant Money”, which he sent from that e-mail address to [email protected], an unsuspecting victim,” reads an outline of the charges. The suspect was also found in possession of a fake document entitled “National Endowment for Humanities”, which he allegedly used to convince victims to pay advance fees to secure money or other rewards won in the US. Oscar Nkala - I am a Zimbabwean journalist with 18 years experience working in print broadcast and online media. From Gaborone in Botswana, I cover the African continent for South African-media organisations Defence Web and Oxpeckers Investigative Environmental Journalism. I am also a correspondent for African Aerospace (UK), the Botswana Gazette and The Zimbabwe Standard.